Conventional scientific belief is that the evolution of intelligence is directly linked to the size of the brain relative to the size of the body of an organism. 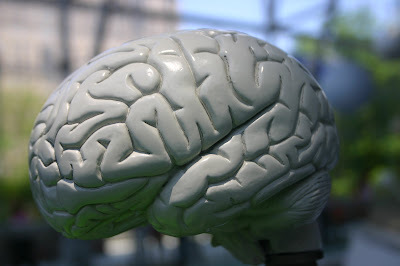 Simplified, it means that the brain evolves and gets bigger giving the species more intelligence. Scientists from the University College London, the University of Konstanz, and the Max Planck Institute of Ornithology has found that this belief may not hold true at all. They published their study in the Proceedings of the National Academy of Sciences. They find that sometimes it is not the brain that gets bigger but it is the body that gets smaller. They note that a species of bats decreased their body mass over time which allowed their brain to perform more duties such as increased dexterity, flight maneuverability, and heightened foraging skills. Dr Jeroen Smaers (UCL Anthropology and UCL Genetics, Evolution & Environment), lead author of the study said: "When using brain size relative to body size as a measure of intelligence, the assumption has always been that this measure is primarily driven by changes in brain size. It now appears that the relationship between changes in brain and body size in animals is more complex than has long been assumed. "Changes in body size often occur independently of changes in brain size and vice versa. Moreover, the nature of these independent changes in brain and body size, are different in different groups of animals." The research team noted that prehistoric data spanning millions of years has shown that most animals evolved their body size faster than their brain size, except for the bats. With primates, they noted that brain size decreased more than body size. Carnivorans (an order of placental mammals) slightly stray from the evolutionary path with changes generally more strongly associated with body size rather than selection on brain size and cognition. Given such differences, the authors believe that the predominant interpretation of relative brain size as the consequence of selection on intelligence inherently masks the often more significant influence of selection on body size.